Online presence certainly matters a lot in the professional lives of people. Any individual who has a supreme and powerful online presence have a high chance of advancing promptly in their field. By online presence here means a portfolio website of a specific person. Generally, a portfolio website means a personal webpage of any individual where he/she showcase their qualification, experience, skills, and collection of their previous work. It is simply a way to let people know them professionally. And many people would definitely want to have a portfolio website for themselves. 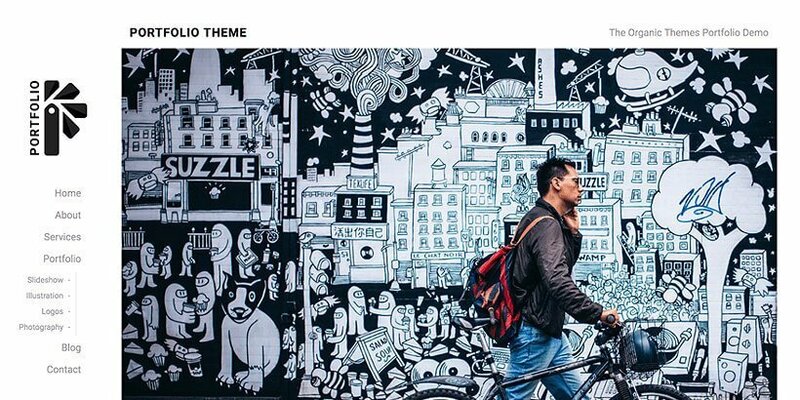 In this blog, we would like to share the best free portfolio WordPress themes. As it is well-known that, WordPress is one of the best and simple platform for building a website. And it also chose by most people worldwide. With an unlimited number of WordPress themes available online they ought to get muddled in choosing the best one for their portfolio site. 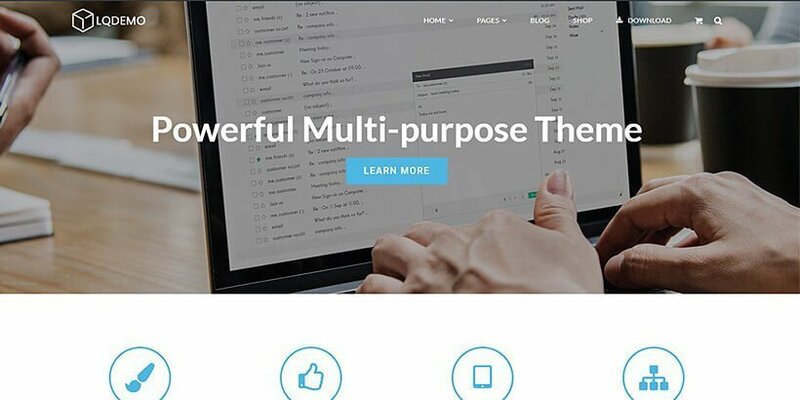 So, in this article, we have picked up some of the finest WordPress themes based on portfolio just for you. 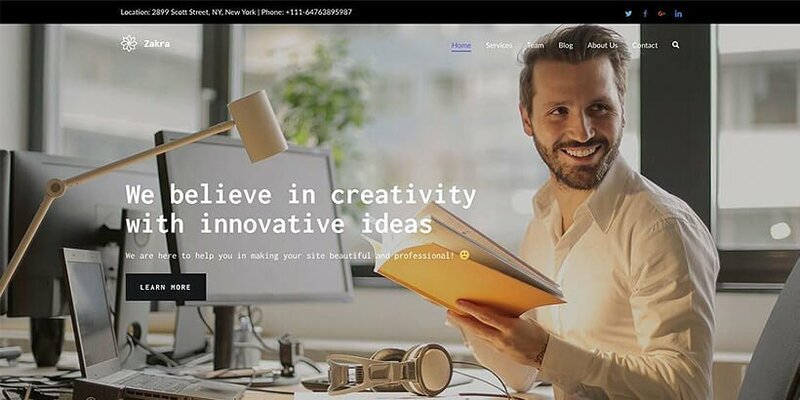 Now, let’s check out the Best Free Portfolio WordPress Themes for 2019! Portfolio Web is a clean, sleek and modern free WordPress theme. The lovely white background and layout suit perfectly for a portfolio site. It brings out the simplicity in your site and makes appealing among the visitors. Of course, the theme includes some awesome features to make your site even more flexible and versatile. As the theme is comfortably adjustable, you can modify the theme in its live customizer and create some minimal changes like updating header, footer, featured section etc. It is genuinely a highly responsive theme and you can see your site appearing flawlessly on mobile phones and tablets. Also, being a cross-browser compatible theme, the theme looks perfect in all kind of web browsers and with the latest version. Neptune Portfolio is a fascinating looking free WordPress theme made for a portfolio website. The amazing masonary layout design of the theme is the main attraction of the theme and it will surely give your site a modern and appealing look. Besides the default pages, you can also add another pages and subpages of your choice in your site. It is a highly responsive theme so it is assured that your site to appear flawless and well-adjusted in any kind of mobile devices and tablets. This theme has good compatibility with almost all kinds of plugins. For Ex: WooCommerce plugins which can be used to create an online store within your website and sell a different kind of products online. 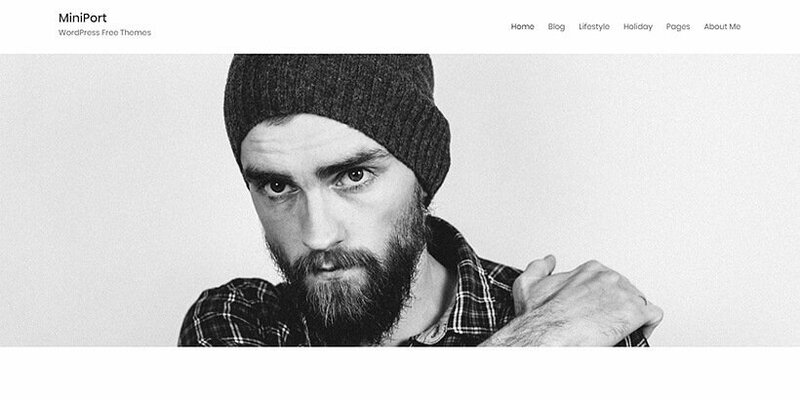 Minimal Portfolio is a classic and simple free WordPress theme. This theme is specifically based on portfolio and blog website. 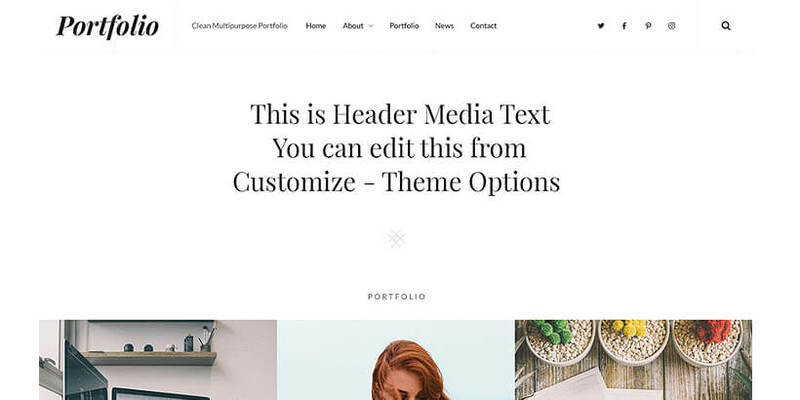 If you are looking to have an easy-peasy and manageable theme to build up a website just for your portfolio then this theme is a good choice for you. With its live customizer, you will be able to modify the theme and make it the way you desire. It adjusts well with any kind of web browsers like Google Chrome, Mozilla Firefox, Safari, Opera etc. So, you don’t need to worry about if your site won’t appear good in any browser. You will also enjoy using all kinds of different features and functionalities in the theme. It has some interesting minimal options such as a sticky sidebar, grid option, and many others. It also supports RTL Support so you can make your site ready in some other languages and format also. 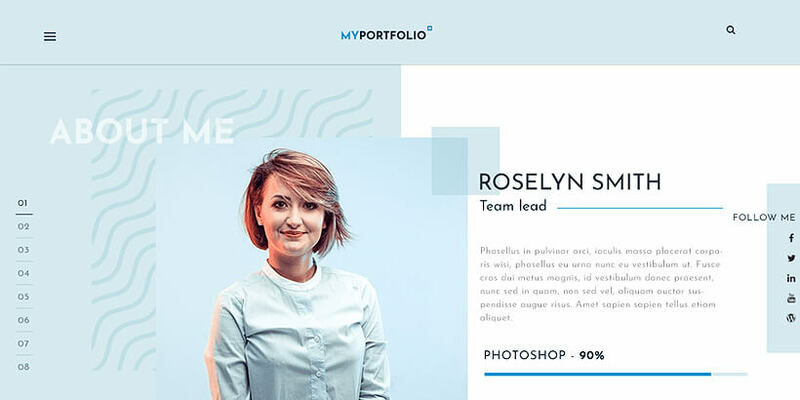 This sleek and modern theme RT Portfolio is probably one of the most trendy and beautiful themes for building a portfolio site. The rich design of the theme is simply heart-warming an ideal one to capture the attention of the people who visit your website. Well, the theme has been designed uniquely than others and definitely its a popular one. 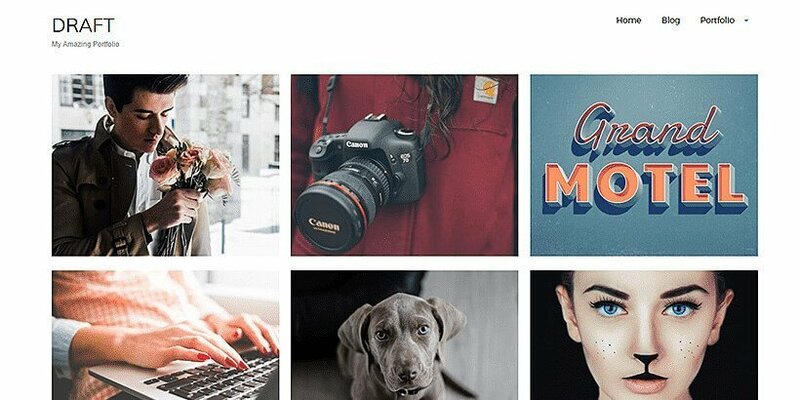 It has an awesome banner image layout option so you can set your favorite image for the banner and make your site look great. With the Social Icons in the theme, you can share your social accounts like Facebook, Instagram, Twitter, LinkedIn and others to your website. Let the people in your social circle know about yourself more. Note: At present, our recent theme Portfolio Web has successfully reached 1000+ active installations in WordPress.org within a short period of time and is still continuing. It has been included in many blogs including ThemeGrill‘ s blog free WordPress portfolio themes. Advance Portfolio is a fancy and colorful theme and will make a creative portfolio website. The overall look of the theme looks fun and astonishing. Basically, it fits well if you are looking to have an artistic webpage with many innovative features. As this theme is a highly responsive theme, you can get your site fit in any kind of devices like smartphones and tablets and in all kind of screen size. It is a highly SEO Optimized theme and users can sit back and relax as it your site will have a good guarantee to appear at the top of google rank. If you find difficulty in working on this theme then no need to worry, well-prepared documentation is there within the theme to provide you guidance in every step. Having good compatibility with WooCommerce will let you open an online store in your website and also sell varieties of products and services. 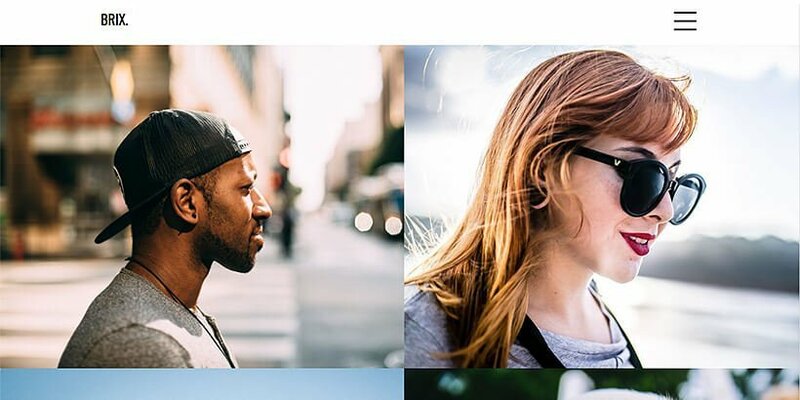 Perfect Portfolio is a simple and minimalist WordPress theme. It is a simple theme yet having a professional touch to it. It just takes one click demo import to have a complete portfolio site ready. The theme is highly responsive and adapts well in any kind of smartphones and tablets. Having features like translation ready, SEO friendly makes it more flexible and versatile. Furthermore, it has good compatibility with WooCommerce, means a user can set up their online store within the website. As the theme supports color option and font awesome icons you will have lots of chances to experiment with the theme as desired. The theme is highly speed optimized so your site will load faster than any other site. Brix Portfolio is highly responsive and professional free portfolio WordPress theme. It is also a multi-purpose theme so it can be used for other purposes too like a news, travel, fashion, blog etc. Being crafted with standard WordPress coding it is well maintained and has a fabulous appearance. The theme offers distinct and supreme features which can make your site stand outside the crowd. 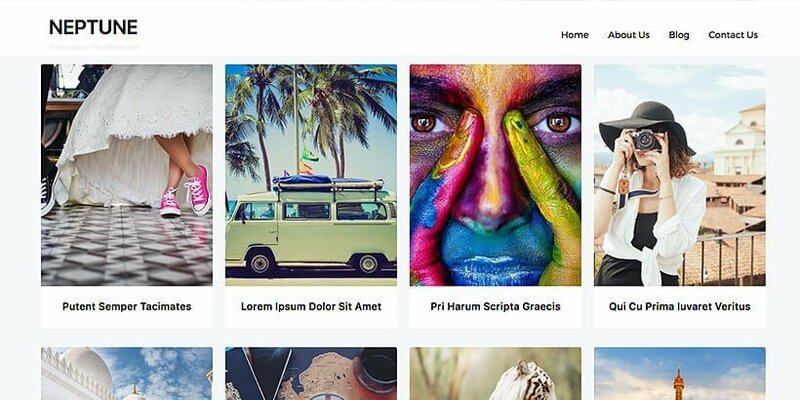 This attractive theme XI portfolio is a astonishing and modern and free WordPress theme. Its design and structure have been constructed especially for portfolio site for any particular person or a individual. This is a perfect theme for a anyone to showcase their work experience and skills to the world. As it is integrated with WooCommerce, company owners can display or sell their products, materials, and pieces of equipment online. It also runs well in all types of web browsers like Google Chrome, Mozilla Firefox, Safari and many others.Though particularly focused on portfolio site you can also use it for other purposes like business, corporate etc. 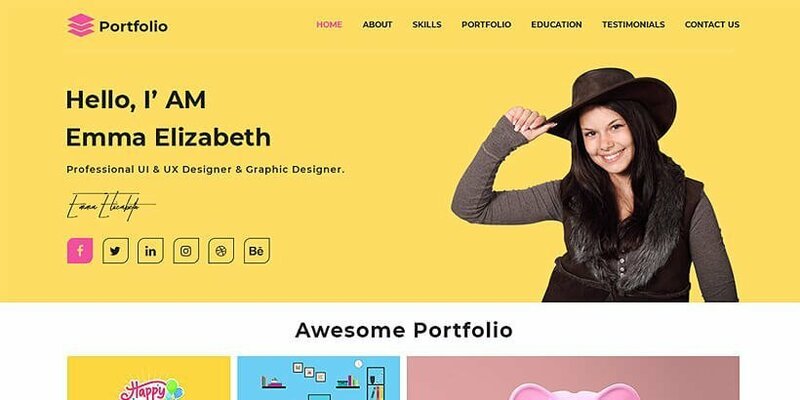 Thumbs Portfolio is a wonderful and fascinating WordPress theme based on portfolio. With its unique and appealing layout design, any particular person can build an outstanding and professional online presence for their portfolio site. The theme has all the features which make it popular and an ideal choice among its users.Let your visitors and clients know about you more through online. This not only saves time but also make your business run smoothly. The theme is highly responsive hence your site will fit perfectly well in all kinds of smart devices such as mobiles and tablets and of all in different sizes. 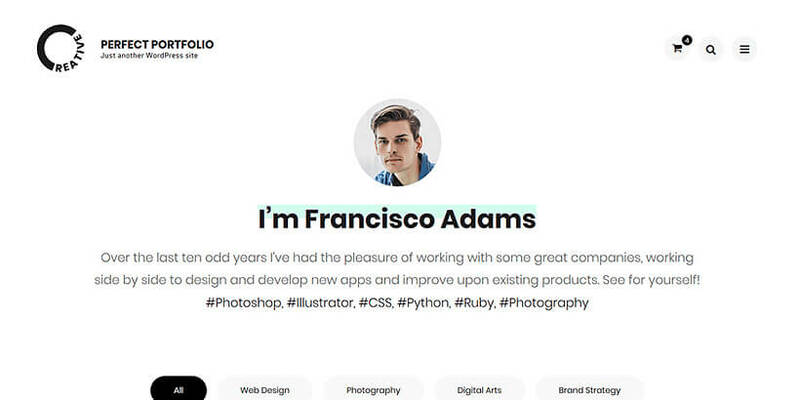 Portfolioo is a fine and sleek WordPress theme based distinctly for a portfolio webpage. Being a responsive theme, your site will appear perfect and flawless in smartphones and tablets. It has a beautiful slider option to make your site look great and creative.The minimalist and simple appearance of the theme is perfect for a any young professionals to showcase their services and other aspects. Though it has many unique features for its users which lets you play and experiment with the theme. It has easy customization options such as changing logos, altering colors, updating font type, color size etc. Having integrated with WooCommerce you can open an online store in your website in no time. Clean Portfolio is a sleek and lovely WordPress theme. The layout design of the theme is mainly focused on portfolio, blogs etc. This theme is best suited for a portfolio site for any individual or professionals.With its easy customization, people can do simple changes in the theme such as changing the logo, altering layout design, updating new colors in the font, font size, font style and font -family etc. The widgets available in the theme makes it a splendid one and let user experiment more with the theme. 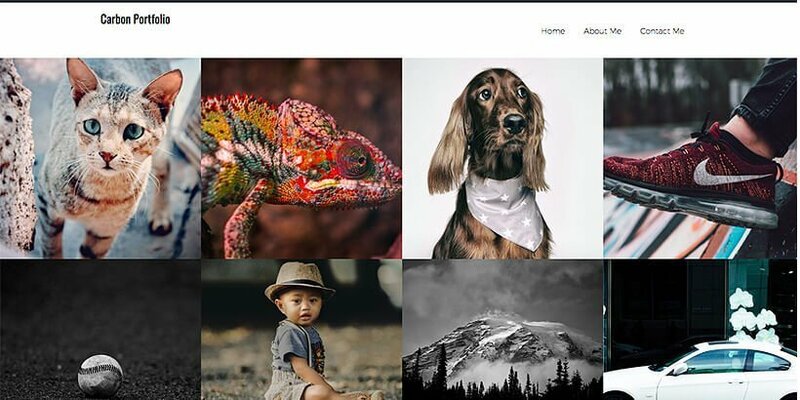 Portfolio Lite is a stunning free WordPress theme integrated with WooCommerce. 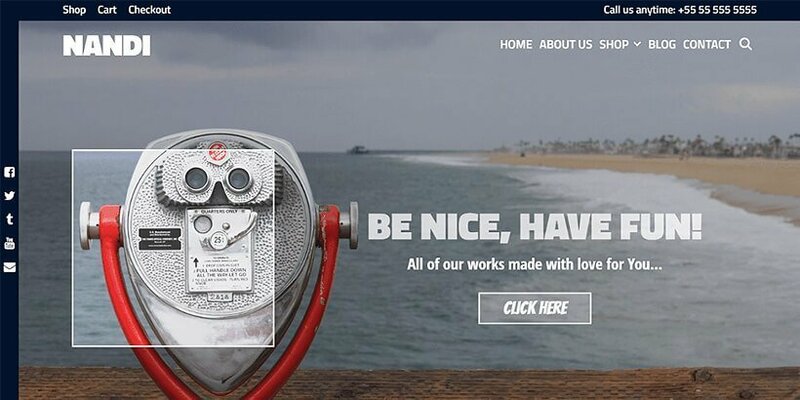 This is a perfect theme for anyone or a company who wants to build a portfolio website. The layout design has been well-designed with awesome graphics and quality code. It has varieties of amazing features. Its highly responsive and is also a multi-purpose theme. Being integrated with WooCommerce you can use its amazing and advanced functionalities which lets you run your e-commerce website smoothly. It consists of some amazing features that will add the flexibility of the theme. Draft Portfolio is a wonderful and fascinating WordPress theme build for portfolio and blogs. You can see that the theme has all the features which make it popular and an ideal choice among its users.The theme has social media integration to let you connect your website with your various kinds of social accounts and lets them know what your site has to offer. The slider widget in the theme adds to the beauty of the website and make it more appealing. Again, you can get your site ready in several other language also. Portfolio Gallery is a flexible and beautiful WordPress theme based completely on business and trade. The minimalist design of the theme is perfect for any kind of business and is worthy of displaying important services and information about their company. 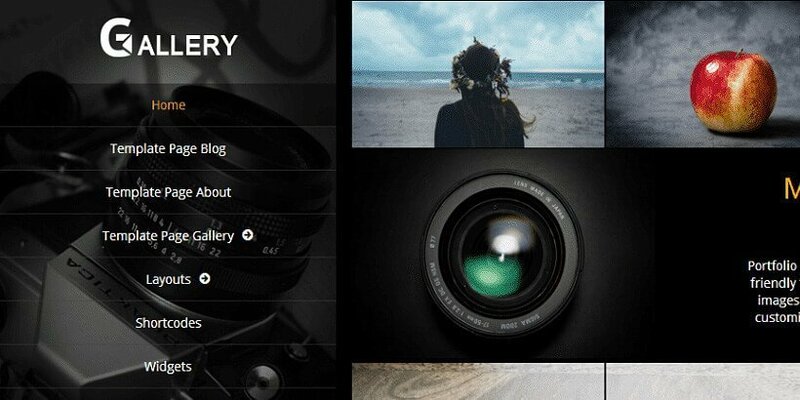 Besides that, it can also be used as a theme for portfolio, news, travel, fashion etc. Its stupendous features make this theme more interesting as people can play with it and do lots of stuff. With the easy customization of the theme, even a layman can modify the theme with ease not needing the knowledge of coding. Many other unique and exciting features included in the theme which extends the flexibility of the theme. 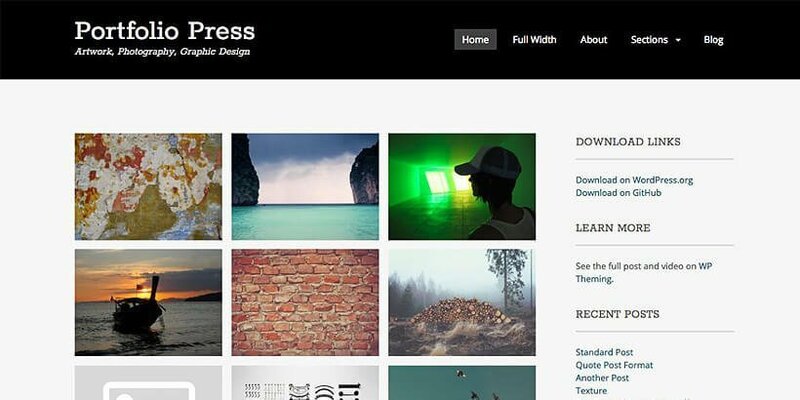 Portfolio Press is simple and multi-purpose free portfolio WordPress theme. As the name suggests, it is totally based on portfolio and blogs. Any individual can use this theme and make it build a portfolio webpage for themselves or for their company. Since, it is a multipurpose theme it can be used for other purposes too such as fashion, art, blogs, travels, etc. The theme is fully responsive and it viewed well in any modern electronic devices such as smartphones and tablets. With the easy customization functionalities, each layout and pages of the theme can be comfortably manipulated. Though the page has a simple appearance yet it can visitors remain on the page for a long time. Nandi is a perfect and free WordPress theme for any kind of portfolio and blog website. Its standard layout design and awesome features and functionalities are what makes the theme an outstanding one. Having integrated with WooCommerce, you can set up your online store within the theme instantly. Besides that, it is also compatible with all kinds of plugins available in WordPress namely Elementor and Page Builder and other plugins. Consequently, making your site get more flexible. 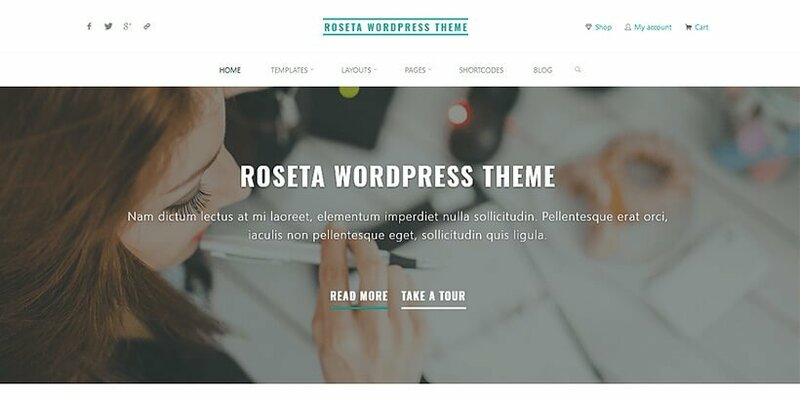 Roseta is a stunning and highly responsive WordPress theme made especially for the business purpose. It is well-adapted in mobile and tablets any kind of screen size. The theme is absolutely user-friendly and easy to customize different part of the theme. And you don’t even need to have some big technical or coding knowledge for it. The animations feature in the theme is the most attractive part of the theme. The theme consists of some of the most exciting and unique features and functionalities which extends the flexibility of the theme. 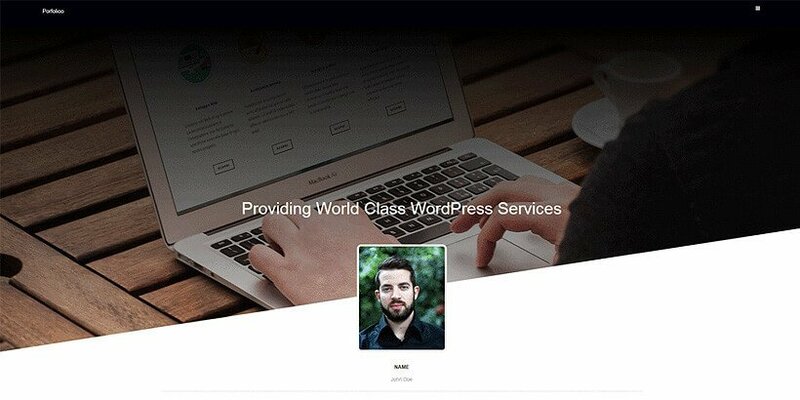 Users can make good use of this theme along with its features to build an awesome WordPress site for showcasing their personal or professional portfolio website globally. 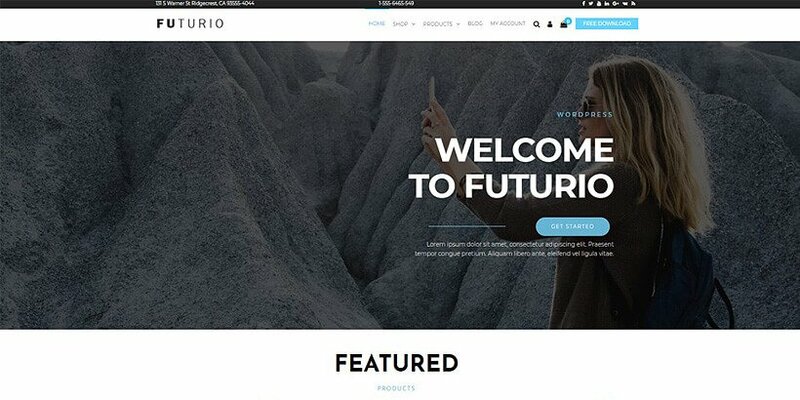 Futurio is an amazing free WordPress portfolio theme specifically focused on a portfolio website. It is retina ready, translation ready and highly responsive theme. The animated look on the front page of the theme looks appealing and fascinating. By the way, it is also an SEO friendly theme and can be very impressive in getting a good position in google ranking. It has good compatibility with Contact Form 7 and page builder. It will undoubtedly attract clients readers to your site. Though being a sleek and simple theme, it offers lots of interesting features such as widgets that includes pricing widgets, clients widgets, testimonial widgets. Zakra is a unique and splendid WordPress theme made particularly for a portfolio and blogs. The theme is easily customizable and simple to modify. Even a non-techy can customize the theme with no need for coding knowledge. It is highly responsive and thus fits well in devices of any screen sizes. You should also know that the theme is extremely translation ready so you can make your site in any other languages rather than English. You can connect your website to your social accounts and let your friends, families and other connections see about your website. The theme has included complete and well-structured documentation to support you in each and every step while designing your website. Shesha is an undoubtedly lovely and impressive looking WordPress theme. This highly responsive theme is something you need to be exciting for. Yes, the appealing layout design of the theme will its viewers wonder. For a portfolio website, this is ultimately a perfect one. You can check it on your mobile you will find your site will appear flawless and proper. This easily customizable theme is absolutely user-friendly so you can modify the theme smoothly according to your wish. And you don’t even need to have the coding knowledge for it. Being well speed optimized, each page of your site will load faster than ever before. This not only impresses your visitors but also make them hold on to your site for a longer period of time. This clean and modern WordPress theme Lucia is a lovely portfolio WordPress theme. It can be used for several other purposes also such as blogs, business agency, corporate etc. 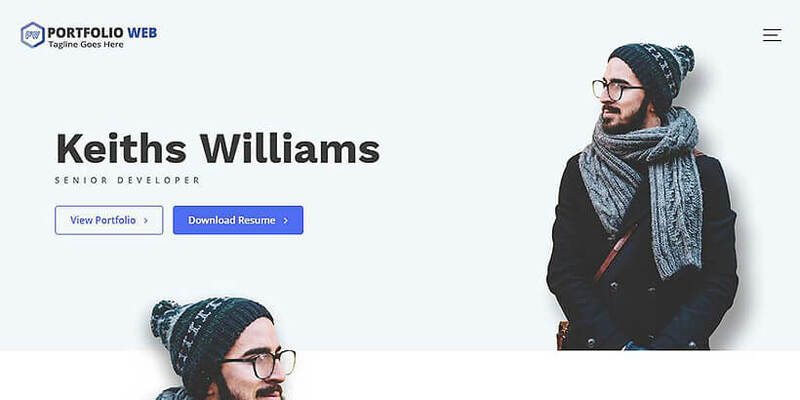 Made with supreme quality this wonderful theme is here to help you to create a powerful and professional portfolio website. Having a huge collection of cool widgets you design the layout of the theme in your own way. The theme is completely SEO friendly and it makes sure that your sites come at a good ranking level on a google search. For some extra functionalities to your site, you can use WooCommerce plugin as it is extremely compatible with it and you can even open your online store on your website. 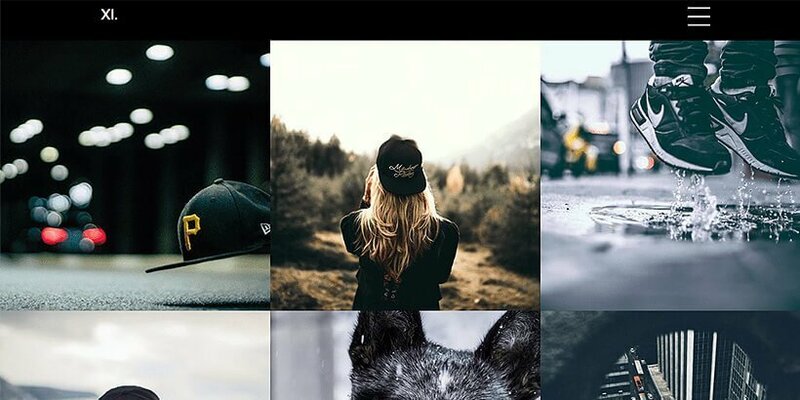 We have selected some of the best free portfolio WordPress themes from the market. Hence, you can have a better option in choosing an ideal theme if you plan to have a portfolio website. All of the above-listed themes are from the top WordPress companies in the market so they are guaranteed to be of superior quality. If you feel that you have found the right one among them then you can pick anyone and build a complete professional portfolio website.